Purchase of this package confirms enrollment in the 2-Day Havening Techniques Training September 28th & 29th in Burbank, California. This training will be held at the Hotel Amarano located at 322 North Pass Ave, Burbank, CA 91505, just minutes from the Bob Hope Burbank/Hollywood Airport. This location offers complimentary shuttle service from the Phoenix International Airport. 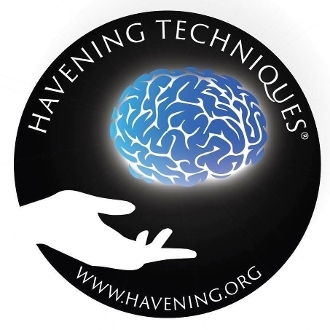 The 2-Day training is the first step in becoming a Certified Havening Techniques Practitioner. Along with 16 hours of instruction, demonstrations, and hands-on practice, this training includes a set of 3 DVDs showing a Live Seminar presentation delivered by Dr. Ron Ruden, founder of the Havening Techniques, as well as a Comprehensive Procedural Guide / Manual for using Havening Techniques written by the founder. Enjoy additional savings when you enroll in both the 2-Day Training and the Havening Techniques Certified Practitioner Program! The Certification program includes Stage 2 of the Certification program defined by the Havening Techniques Head Quarters. Stage 2 is comprised of the assessment phase of Certification involving 30 written case studies, 2 video case studies, attendance at five monthly 90 minute Havening Techniques Certified Practitioner group case consultation meetings, and the neuroscience examination. To learn more about the stages of Certification please click here.